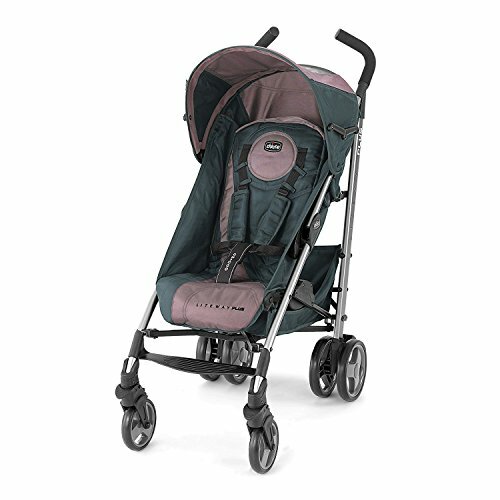 Chicco's 2-in-1 Lite way Plus stroller conveniently converts from a Key Fit Carrier to a Toddler Stroller for on-the-go parents and babies. With a compact 3D fold and a carry handle included, the Lite way is designed for easy travel. Featuring innovative forward-fold functionality to accept your Key Fit with an audible click, the enclosed seat also has 5 recline positions, an adjustable, removable canopy and a zip-off rear panel. Other features include rear wheel suspension, toe-tap locking brakes, adjustable leg support, storage basket and parent cup holder. Recommended for children up to 50 lbs.